In continuation of its drive towards diversity and inclusion, AIChE presents this series on LGBTQ engineers. Other related efforts include Safe Zone Workshops, which were held at the 2015 Spring Meeting and the 2016 Annual Meeting and accompanied by a leadership reception for LGBTQ members and allies. All aforementioned initiatives are supported by the AIChE Foundation's Doing a World of Good Campaign. In the third installment of our series, we interviewed Peter Schwalbenberg, who shared his story as an LGBTQ process quality professional working for Inolex, Inc. I am currently employed as a process engineer at Inolex, Inc. We are a personal care and cosmetic ingredients manufacturer, located in Philadelphia, PA. We provide leading brands with alternative preservation systems, silicone replacements, natural ingredients, palm-free products, and other green-chemistry-based ingredients. It's an amazing place to work as an engineer, where you can actually sample formulations of skin/hair creams, shampoos, conditioners, etc. that use the products that you're processing/improving. I have many roles as a process engineer. I lead and coordinate the quality production team and troubleshoot out-of-spec products. I also lead the PSM program onsite, reviewing our requirements of the program and ensuring compliance with Maintenance and EHS. I conduct process risk assessments for both pilot and commercial-scale products and also lead some capital projects. I definitely learn a lot every day which is awesome! My experience as an out LGBTQ professional is definitely a positive experience, though it took me a couple of years to be completely comfortable sharing my personal life with my coworkers. You definitely have to screen people to see how tolerant and accepting they are before you come out, especially at work. I am so fortunate to work at a diverse company in a major city where we embrace different lifestyles and cultures. Being able to be fully confident with yourself to work with other people who may not be comfortable with you because of who you are and who you love. Whether it's self imposed or from your work environment, one has to effectively communicate and coordinate to achieve a goal, which is challenging enough as an engineer. Do you know others in the profession who struggle with being out in today's workplace? I do know a few who aren't out to everyone in their workplace. They are out to their mentors/bosses and those who work closely with them, but they won't disclose that part of their life unless asked by others at their companies. I think acknowledging the LGBTQ community along with the other diverse groups is a great way to create a welcoming atmosphere (such a celebrating Pride Month, with Women's History Month and African American History Month). Also ensuring that their policies include protections for employees of the LGBTQ community is a must. AIChE has been a great tool for me to meet other engineers in other industries and provide me with insight and ideas that I could use at my workplace, such as best practices, project management, and process safety tools. I think that the AIChE Academy is a great program for young professionals to learn more about our profession and specific topics that relate to their jobs/industries. I also love how AIChE Engage makes networking even easier and more convenient. I definitely see myself growing as a chemical engineer the more involved I am with AIChE. Do you have any suggestions of what out LGBTQ chemical engineers can do to help make their professional climate more safe, welcoming, and inclusive for diverse engineers? I think by listening/addressing other diverse engineers' concerns and creating a common goal is definitely a good first step in making a welcoming atmosphere for all. At the end of the day, we want to make everyone feel like they can express who they are while excelling at their profession, so teamwork has to be established in order to achieve success. I am definitely a city boy and I love exploring the City of Brotherly Love! 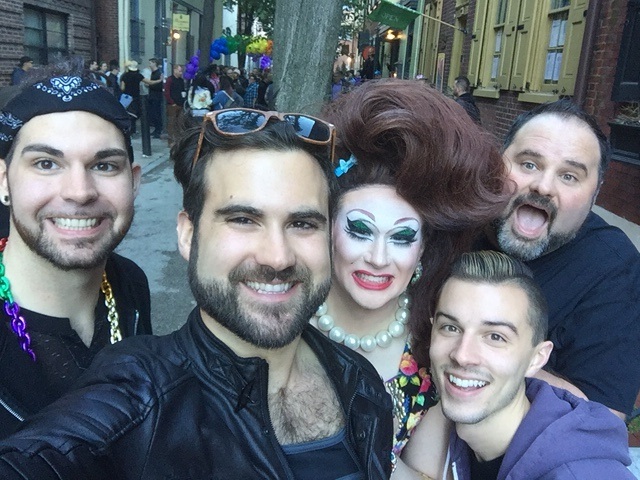 I like going to art galleries in Old City, drag shows in the Gayborhood, spending time at city parks (Washington Square being my favorite), running on the Schuylkill River Trail, going to the gym and enjoying different restaurants. I still have much to explore! I'm also very active in the Delaware Valley Section of AIChE and spend a lot of time doing projects and helping out when I can. 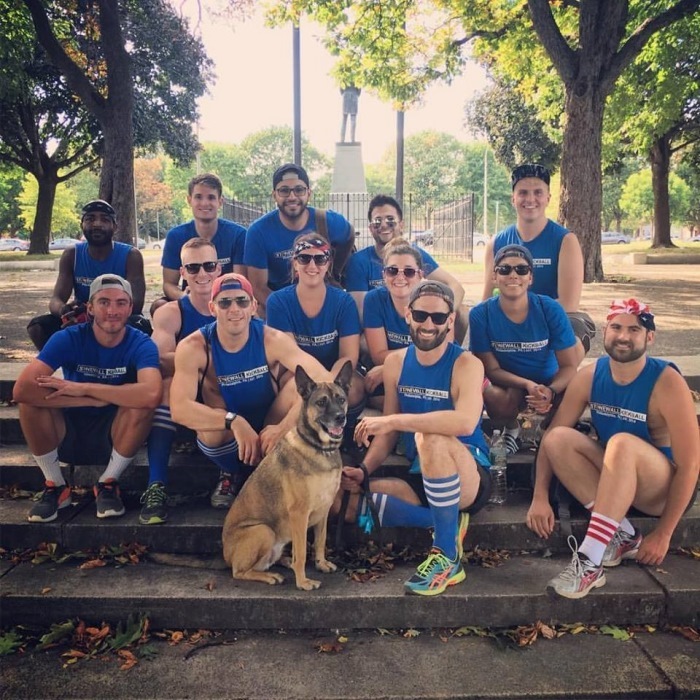 I also enjoy the Stonewall Sports League of Philadelphia where I play dodgeball and kickball. I definitely thank and look up to Marsha P. Johnson and Sylvia Rivera, the two transgender women of color who played a key roll in starting the Stonewall Riots which paved the way for the LGBTQ rights movement. Their bravery to stand up for themselves in a society that criminalized who they were is really remarkable, and I think all members of the community should channel that bravery as we continue to fight for progress. My dream getaway would be exploring the Green Mountains up in Vermont during the autumn season. The foliage and scenery would be so soothing and refreshing! I can just feel and smell the cool crisp breeze thinking about it! Who is your favorite LGBTQ icon? RuPaul of course! I love the art of drag and Ru has been one of the leading pioneers of spreading its popularity! Expressing your inner femininity/masculinity and going against gender norms is so fabulous and RuPaul exemplifies that fabulousness! I definitely think so to some extent. It's definitely easier to "find family" in cities. You just get a better "sense" with a larger population. Learn more about AIChE's Diversity and Inclusion Initiatives. I think it is fantastic that AIChE is doing this series to feature LGBTQ professionals! As a faculty member at Rowan since 1998, I am proud to see one of our alumni, Peter Schwalbenberg, as a featured LGBTQ Chemical Engineer. Peter, thank you for sharing your experiences with the AIChE community. Keep up the great work. I am very pleased to see that the AIChE is providing a forum featuring these LGBTQ outstanding and inspiring professionals. Like Stephanie Farrell above, I am also a faculty member at Rowan University, and I have had the honor to contribute to Peter’s education during his time at the Chemical Engineering Department. Peter, I am also thankful that you ventured to share a bit of your life experiences and thoughts with our ChE community.